Diabetes Drug Could Reduce Cancer Risks | Life, Sport and Diabetes - An everyday look at my life with type 1 diabetes. A recent study has suggested that Metformin- a tablet used to treat people with diabetes could also play an integral part in helping in the fight against cancer. The tablet only costs 2pence per day to take, but could prevent thousands of people from dying from some of the more common forms of cancer. 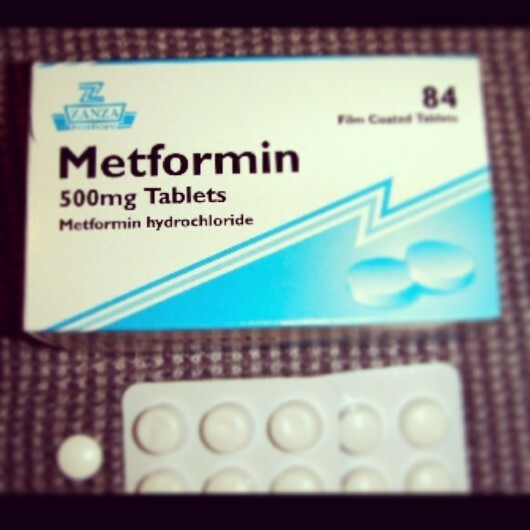 Metformin has been used for over 50 years in diabetes treatment. The way the drug normally works in people with diabetes, is that it increases the sensitivity of the body to insulin, and is commonly used in Type 2 patients. Many people with Type 2 diabetes take Metformin tablets in partnership with other drugs that also encourage their insulin production so that the two drugs can work in tandem. However, I'm that I'm a Type 1 diabetic and was taking Metformin as part of my diabetes treatment for almost a year. More on that later on in this blog. In terms of cancer treatment the drug is thought to be able to starve some of the cancer cells to death. The research suggests it could reduce the fatality of cancers such as liver cancer by 78%, breast cancer by 33%, pancreatic cancer by 46% and bowel cancer by nearly a quarter. Claiming the lives of 39,336 people a year. Together these are not only the biggest killers, but also the most difficult cancers to treat. Metformin works within cancer treatment by reducing the amount of glucose that fuels the cancer cells that are being produced. It aids the cells in mopping up the sugar floating in the blood stream. That would otherwise act as the cancers energy supply. The research was carried out by the University of Shandong in China, who analysed information from 37 studies involving some 1.5 million people. They found that diabetes patients who were taking Metformin were less likely to develop cancer. But those who did, were much less likely to die from it. If the research and results are correct, the fact that Metformin has already been through all the tests for consumption and has been passed for wide spread use in healthcare, is a great positive in terms of the time frame in getting it into the cancer drug market. Previous studies on Metformin have also shown that the drug can also seek out and destroy the cells that give birth to deadly tumours. And for these reasons Cancer Research UK is funding a 5 year study involving British women with breast cancer, to test the effects of the drug. Whilst the information that Metformin has another important use is very positive for the future of cancer care. My experience of the drug was not a positive one. 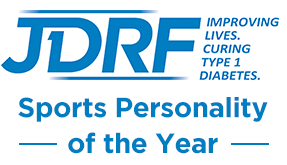 As I previously mentioned, it is unusual for a Type 1 diabetic to be given the drug. I was prescribed it whilst on the waiting list to get my insulin pump about 4 years ago. I was still on injections at the time, so was using Metformin for the purpose of attempting to increase my sensitivity to insulin. I still had to take numerous (5+) injections a day. But it was the side effects that accompanied the consumption of the drug that bothered me. It seemed to have an adverse reaction on my stomach- a common problem amongst other people with diabetes that I've spoken to. Especially when eating anything fibrous foods and consuming caffeine drinks. So much so that I couldn't be too far away from a toilet at any given moment. And in a quiet room my stomach would be giving off a loud and embarrassing churning sound. However, I must note that if this drug is going to help in the fight against cancer. These side effects would not out way its purpose. This is very interesting! It would be great if this develops further, it shows how exciting the next few years maybe for medicine. Possible cure for HIV - now Cancer - fingers crossed diabetes is next. I agree Tony, fingers crossed. I just find it amazing how a drug can be produced for one purpose but end up benefitting so many others. Yes fingers crossed for some more advancements in diabetes!